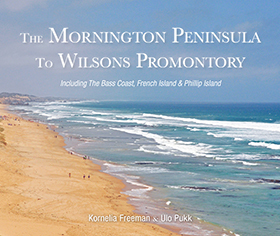 The Mornington Peninsula to Wilsons Promontory showcases the beauty and history of the Mornington Peninsula, Bass Coast and Wilsons Promontory. 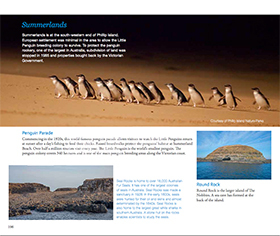 The book shows the beauty of Melbourne's popular tourist areas, with award-winning photographs, including wildlife, historical information and inspiring quotations. 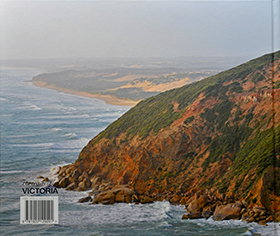 This is the fourth book in the series 'Portraits of Victoria'. 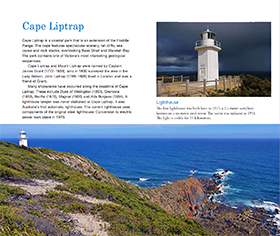 The Mornington Peninsula includes mazes, parks and gardens, historic locations and buildings, trains, wineries, sand and surf and relatively unknown places such as Angels Cave, Endeavour Fern Gully, Fort Franklin, the South Channel Fort and the submarine HMAS Otama. 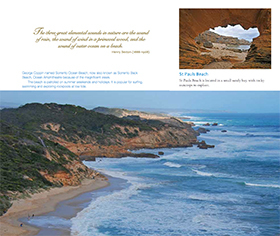 The Bass Coast includes interesting townships, capes, Churchill, French and Phillip Islands. 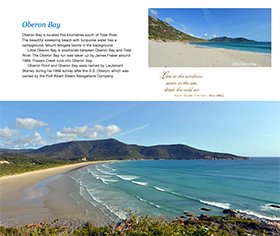 The magnificence of Wilsons Promontory is also beautifully displayed.